It's...it's a line! That's getting bigger! And...well, that's about it I guess. Polytron, the mind behind popular XBLA ( and now-PC ) puzzle-platformer Fez has released a teaser video for a second installment in the series. 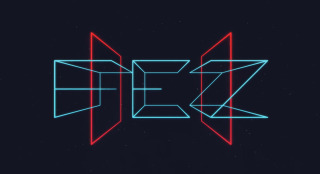 The Fez II teaser doesn't show much besides an expanding line and a Tron-like Fez II logo, but if you've played the first game, you'll recognize the familiar techno/chiptune beat of Disasterpiece accompanying it. The description of "coming to ???? in ????" doesn't indicate whether the game will be coming to PC or not, especially after the uncertainty surrounding its arrival to the PC earlier this year. But if the recent release of a Steam version of the first game is any indication, I'd say there's a good chance we'll be seeing it in ??? ?, whenever that is.